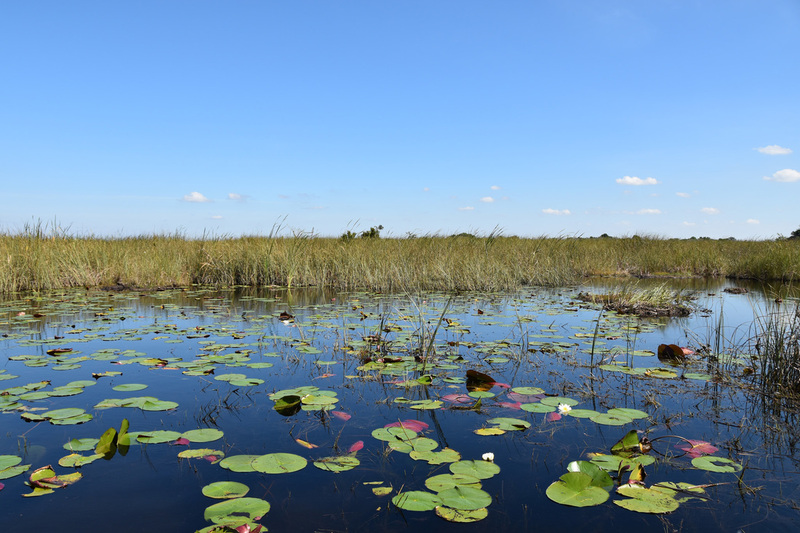 The Everglades are a large wetland covering the majority of Southern Miami. The Seminoles called the Everglades Pa-Hay-Okee, meaning "Grassy Water" which paints a more clear image of the wetlands. The lower 20% of the Everglades has been protected as Everglades National Park. 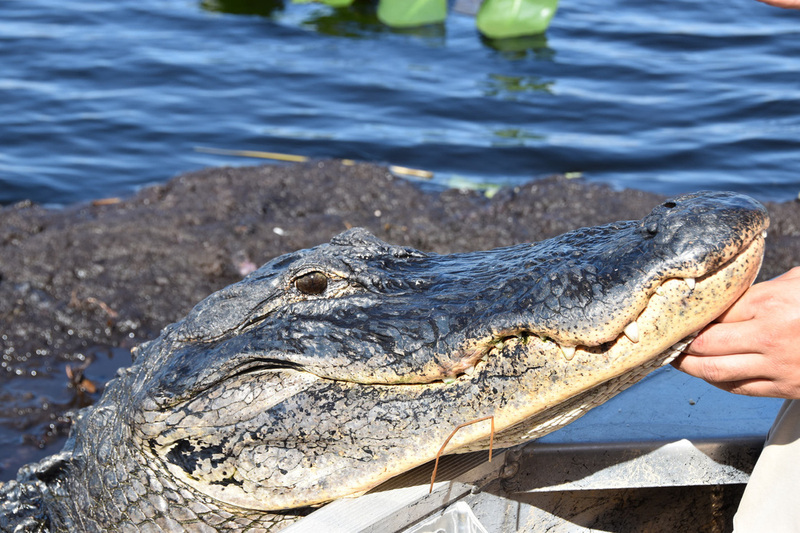 On a visit to Florida the Everglades are much easier to access via a tour from a company located along Route 41 instead of driving all the way through the Everglades to the National Park. 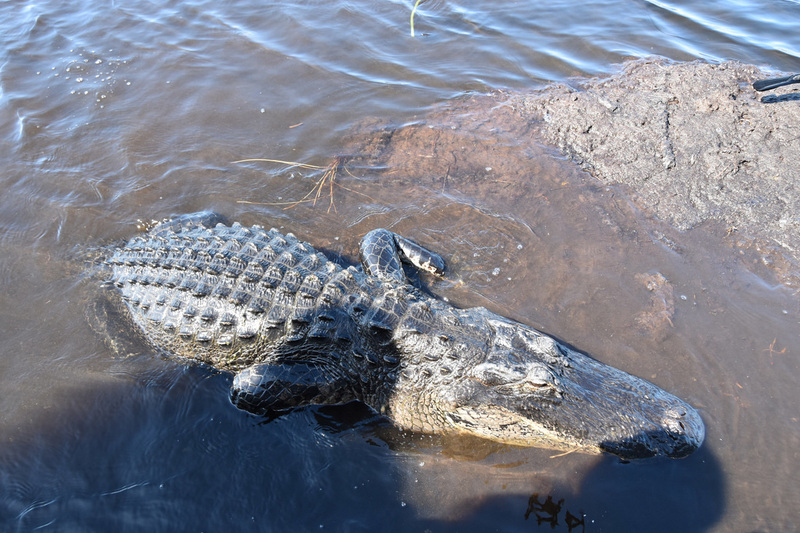 The Everglades are a marshy swampland that is largely uninhabitable. There's no "ground" - just water with tall grasses and a few areas of mud. So of course, when looking to relocated American Indians, the US government created a reservation in the Everglades. We took your land but here's some water for you to live on.​ If you'd like to help the American Indians consider take an air boat tour from one of their businesses that rides through the reservation over the businesses with Everglades National Park contracts. 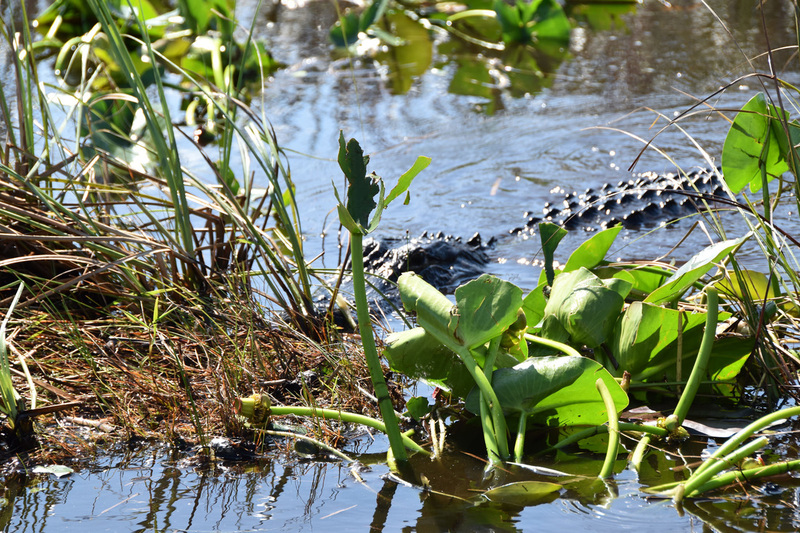 The best way, and really the only way, to see the Everglades is via an airboat tour. Besides the practicality of gliding across the water via air power, the boat ride is exhilarating when the boat accelerates and pitches in-between turns. Gliding across the Everglades felt similar to riding across the African Savannah where there's nothing but you and a 360 degree view of nature. 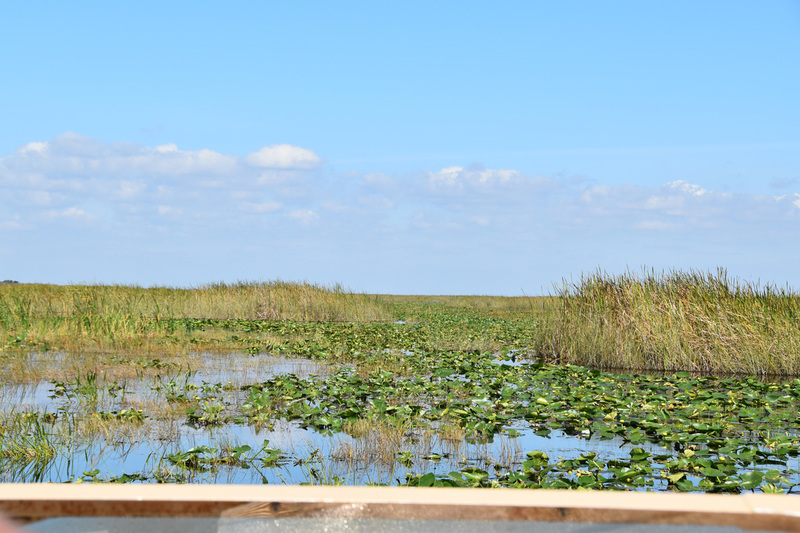 There are several airboat guides when you approach the Everglades from the East. 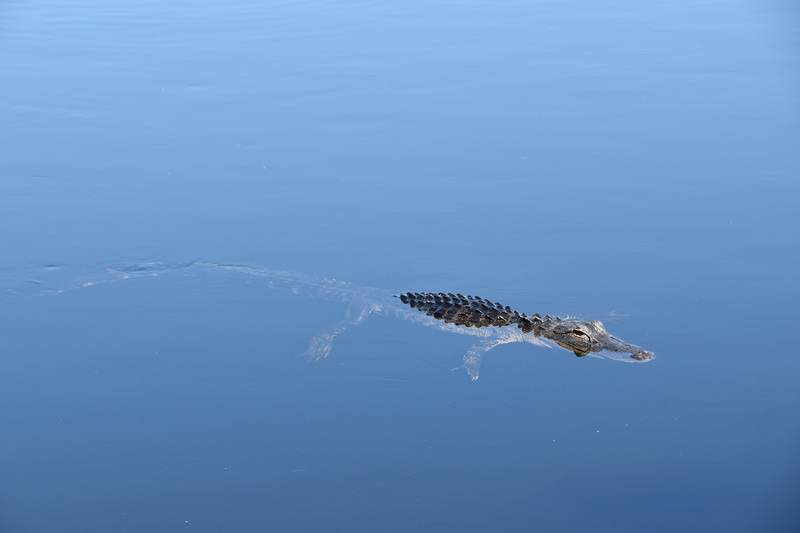 The first several guides go through the northern tip of Everglades National Park. The further west you drive you begin to enter the Okeechobee Indian Reservation area. Our tour here felt a little more official since our guide was literally taking us around his home. We stopped at one point and the guide brought an alligator up to the boat to demonstrate the power of the alligator's jaw. The 45 minute boat ride costs $27.50 as of November 2016. I believe the non-American Indian tours are a bit cheaper and longer in duration but the locals I talked to still said the Indian Reservation area was more representative of the Everglades area because it starts deeper in the marshlands as opposed to the Eastern tip. It may sound unorthodox but the Everglades reminded me of the African Savannah. Instead of riding in a van across open grassland and searching for lions there was an air boat ride across a water grassland in search of alligators. The openness and natural surrounding was very similar despite the physical differences.